Comes well packed inside a wooden crate for maximum protection. 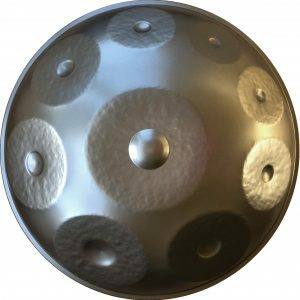 The 9 note handpan in D minor is very easy to play and has a vast possibility of sounds. The instrument has notes within two octave ranges from D3 to D5 and is tuned to the traditional D minor pentatonic scale. 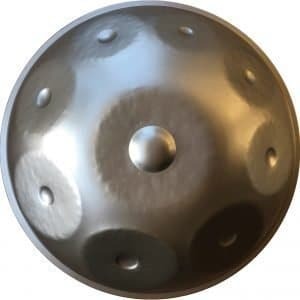 All 9 notes of the handpan have a beautiful resonant sound with plenty of sustain due to the instruments larger diameter. In comparison to the early handpans, which usually had a smaller diameter, this handpan is a bit bigger, with a diameter of 57cm. This means the notes are a little more spread out and because of this, the larger diameter creates deeper bass note sound with slightly more sustain. It is also possible to use the other surfaces of the instrument to make percussive harmonics, such as snares and hi-hat like sounds. The handpan comes with its own backpack style carry bag. Unlike other handpan suppliers who use soft cardboard boxes, we pack our instruments inside a wooden crate to ensure maximum protection. We also place a metal cover shell wrapped in bubble wrap to further protect the instruments notes during transport. Delivery is free and we deliver worldwide. Shipping time is 3 - 10 business days. We use either TNT, FedEx, UPS or EMS depending on your location. To make handpans more available and affordable, we offer a three month payment plan so that you can pay your instrument off over 3 months. 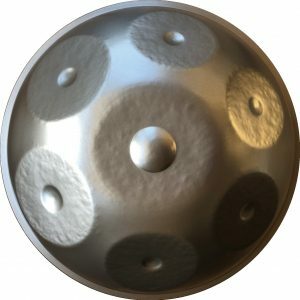 Although we're extremely confident you'll be happy with your new instrument, we offer a 7 day window for you to return your handpan and we'll give you a full refund. 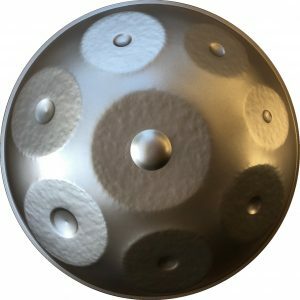 "Beyond excited to have ordered a handpan, ever since I first heard one I knew it was something that I wanted to learn. The transaction on this website was super smooth thanks to using PayPal, and Aaron replied back to me quickly with the tracking info. Shipping was way faster than I expected, arriving to BC, Canada in about a week! And no custom or duty charges at all too! The shipping crate is well made and padded, and the included carrying case for the handpan is very nice. Will make taking it around worry free! The handpan itself is beautiful, and sounds so wonderful to the ears. 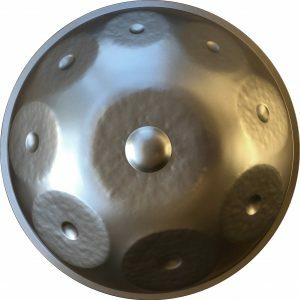 Stoked to have stumbled upon this website, as it has made getting into the handpan world easy and worry free. Thank you!" "I am so excited to finally get my handpan. It has such a beautiful sound! Was packed flawlessly in a protective crate and fast too. Very happy with my purchase! I also want to thank Aaron for answering so many questions and emails with kindness and patience!" "I ordered the 9 Note in D minor for my wife. We are very happy with it. We play it everyday. I am happy that I found and went through the HandPanGuru site. Compared to other hand pans I had researched, this one is amazing for the price, and a site that can be trusted. I loved how the HandPanGuru site is set up as well. Lots of information and honesty." "The people at handpanguru were awesome with me. They emailed me back regularly and timely, and the handpan came in less than a week! Absolutely amazing!" "I am sooo Happy with my Handpan Drum!!! It's is all I had hoped for!!! It's Harmonious Circular Sound is Enhancing!!! I am not a musician and the drum just draws the music out of me...I am 69 yrs old and it is Breathing Fresh Life into my Soul! I play it constantly...."